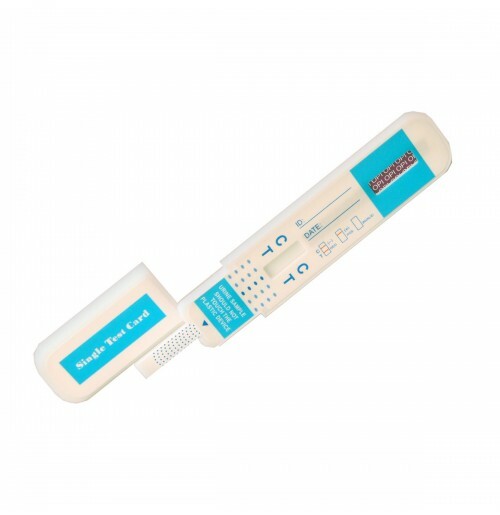 The LSD Rapid Test Dipstick (Urine) is a rapid chromatographic immunoassay for the detection of Lysergic Acid Diethylamide in human urine at a cut-off concentration of 20 ng/mL. This assay provides only a qualitative, preliminary analytical test result. A more specific alternate chemical method must be used in order to obtain a confirmed analytical result. Gas chromatography/mass spectrometry (GC/MS) or Liquid Chromatography/mass spectrometry (LC/MS) are the preferred confirmatory methods. Clinical consideration and professional judgment should be applied to any drug of abuse test result, particularly when preliminary positive results are used.